Home Technology How to Update Android Version ? How to Update Android Version ? 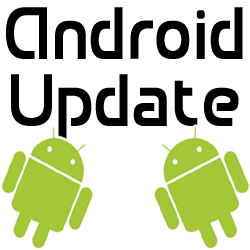 Many users ask such an interesting question - they say, I have a smartphone, I want to update the version of Android. This is especially true in cases where the device is running Android 4.4, and some gadgets use version 7.0. The desire to update is understandable, but first, we must explain to you the following: in spite of the fact that Google can release a new version of Android, this does not mean that your device has a firmware with an updated operating system. Moreover, many manufacturers do not support firmware updates for older smartphones. You can understand them - it's saving, and besides, there is some incentive for the user to change his device to a more modern one. There are other situations. For example, the smartphone uses the 4.4 firmware, although Google released version 6.0. Some manufacturers upgrade their firmware within the same version of Android, that is, they can update the firmware, but the version of the operating system does not change - it's still the same 4.4. Therefore, we can not guarantee that you will be able to update the OS version on a smartphone. However, if you know for sure that your gadget has a firmware with the new version of Android, we'll show you what you need to do to upgrade. As an example, we'll take the Samsung Galaxy smartphone. The device model does not play a role, so the essence does not change. So, the first thing you should do is to charge the device at least up to 80% - not less, but better - up to 100%. The next item is Internet connection. We strongly recommend using Wi-Fi. Why? Yes, because the size of the firmware can be measured by gigabytes. If you download it using the mobile data then it may take all the data. However, if you have an unlimited pack of mobile data, ( most of the peoples are having Jio ) then there should not be any problems. 2. Now go to the setting ( We go into the settings and see a lot of sections ). 3. You will see "About the smartphone" or "About the device." 4. In a new window, you will see various menu items, including the Android version, model number, firmware version, etc. In the upper part of the window, there is "System Update" or "Software Update". Just Click on it. 5. Then click Update or Check for Update. Because there is an update for your operating system, software download will begin immediately. 7. Once the Update is downloaded, click on the "Install" button, after which the device will be turned off. Note - In some cases, nothing needs to be pressed, the device will shut itself down after downloading the software. 8. After turning off the smartphone will turn on again and you will see a green robot, as well as the inscription "Installing a system update" or Installing system update or nothing at all except the robot and the boot strip that reflects the progress of the update. 9. The update may take some time, in any case, do not reboot the device, do not unplug it, or remove the battery. 10. After updating the smartphone will turn on. Your firmware has been updated. How to Upgrade Android Firmware Manually? There is another option - firmware upgrade in manual mode. However, you will have to download the firmware yourself and install it on the mobile. It's not so easy to update it as it is to be updated by air. Do I need to backup before upgrading the system? Generally, all data is preserved during the update. However, if an update error occurs, you will probably have to reset the settings and in this case, all data will be deleted. Therefore, before the firmware upgrade, we still strongly advise you to backup important data, for example, photos. You can save phone numbers using Google Account Sync.